Guided by eminent neuroscientist Professor Vincent Walsh, Faster Than Sound explored the rich scientific, sound and visual world of the brain and the concept of Small World organization (more popularly known as six degrees of separation). 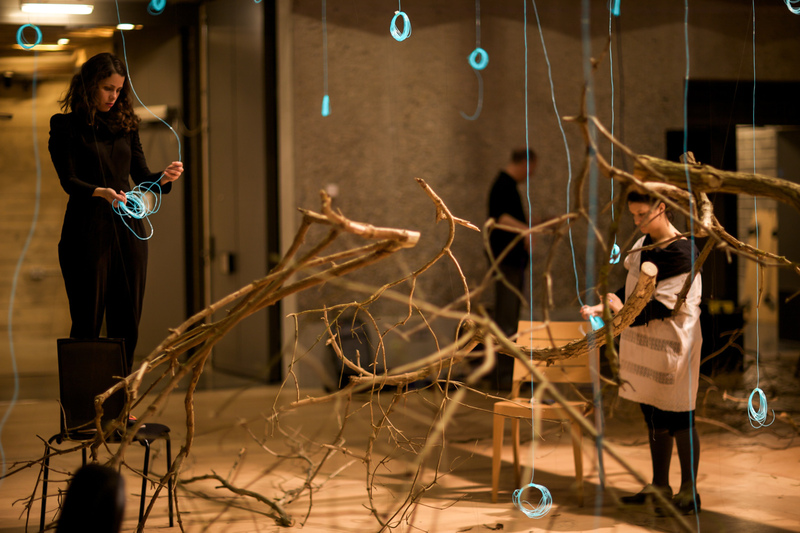 Loop.pH worked with Mira Calix, Anna Meredith & members of the Aurora Orchestra to create an immersive sound and light performance around this theme. Vincent Walsh introduced the complex field of neuroscience where there is still so much to be discovered. 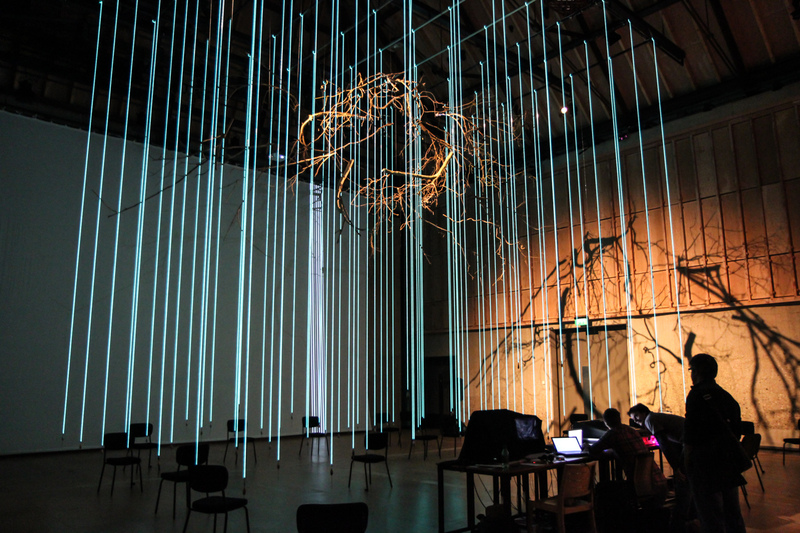 We found a shared language in the holistic perception of space, number and time and created an immersive, animated installation that marries digital media and organic matter. 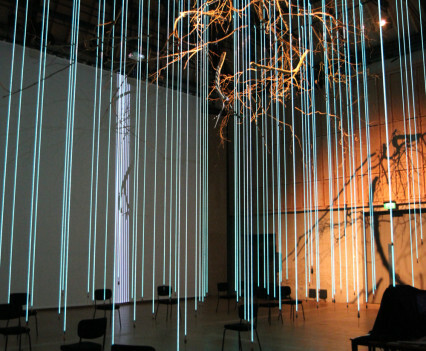 The stage design consisted of a neural nest suspended above the string quartet and audience. 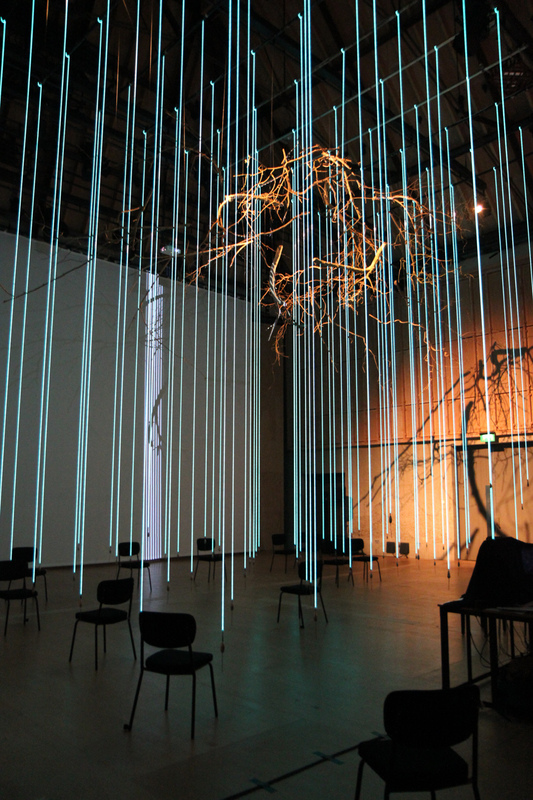 It was constructed from a tree, no longer living – smashed, fragmented and reconfigured in space within a highly ordered grid-work of electro-luminous strings that synchronized its movement with the musicians position in space. 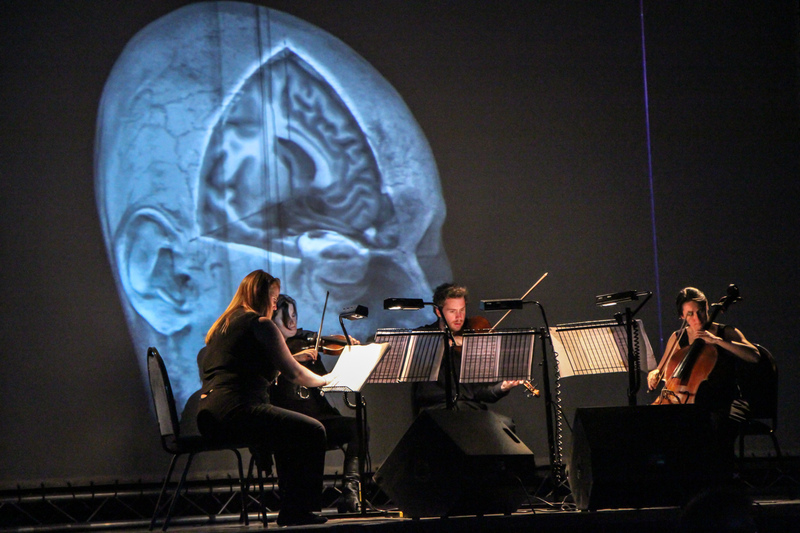 The projected images running throughout the performance illustrate fleeting MRI intrusions and slices into Mathias’ skull – revealing the awesome images of the brain in action. We were drawn to contrast and harmonise the objective reasoning of empirical scientific study with the complexity and interconnected nature of natural structures. 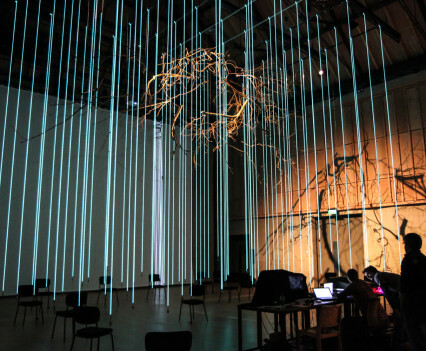 The use of a tree in its obvious form celebrates the branching, fractal patterns and formations found within network organisations from neural networks to biological, cellular structures. It also illustrates how we objectify nature, simplify it and break it down in order to further understanding. 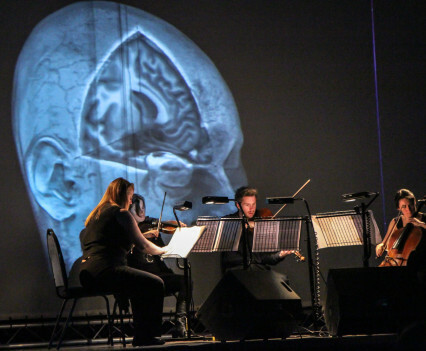 This was a great opportunity to celebrate a transdisciplinary practice looking for connections, cross-overs and shared understandings from the fields of biology, neuroscience, classical and electronic music as well as the visual arts. Share the post "Brainwaves: Faster than Sound"